The new Haven Park & Recreation Department has provided quality aquatic facilities and programs for over 40 years. A committee was formed in November of 2005 to study the feasibility of replacing Jury Memorial Swimming Pool, which had pool structural issues, safety concerns, and a growing list of ongoing maintenance costs. 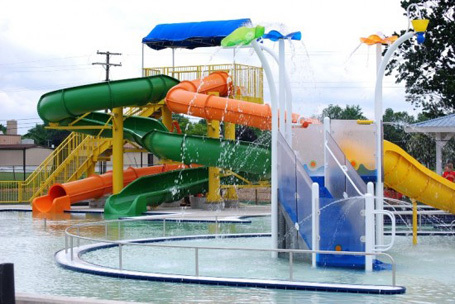 Through the survey process, the citizens of the New Haven community identified their wants and needs which included demolishing the existing pool and replacing it with a new outdoor family aquatic facility.